Every now and then when we are in a hurry to get out of the house and wow that audience but still look pretty, we may slip up on a couple of things; especially with our makeup. These are things which sometimes can be avoided even though some of them are just inevitable. Mistakes are a part of the human psyche, it is inevitable because humans aren’t perfect. So don’t feel bad when some of the mistakes listed below apply to you (I have been caught making some of them too). 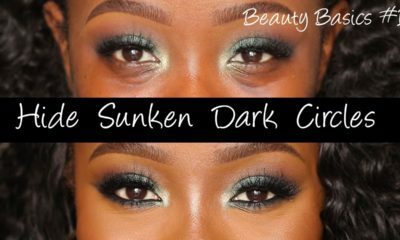 Square and Over-drawn Eyebrows: It took us a while to get over the over-plucked brows, and even though the trend is fast moving towards bold brows, we now face the problem of over-drawn and square brows. Brows are meant to look like they grew out of our skin and not like they were put there artificially. Always remember; they are sisters, not twins. Using the diagram above, map out your brows. 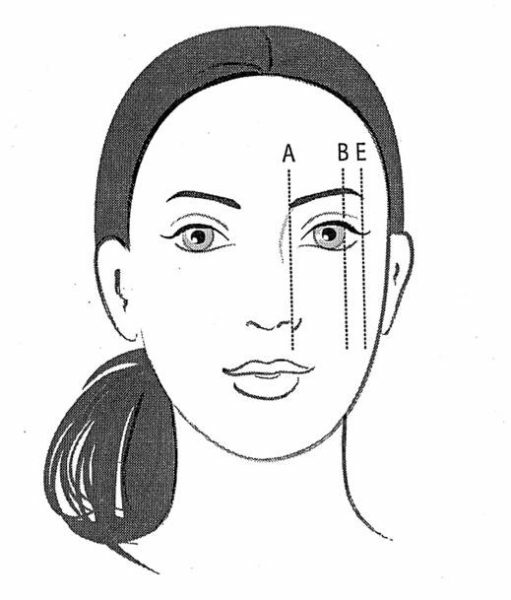 A indicates where your brows should begin, B for where your arch should be and E for where your brows should end. Remember to brush out the start of your brows when you are done to avoid them being square. Brushing it out also gives it a natural and grown out finish. Obvious Lip Liner: After fighting the black lip liner battle, the next makeup mishap we discovered was the un-blended lip liner. Truthfully in my opinion, the ombre trend is not helping matters as more and more people are trying to achieve the perfect two-toned lip. One thing to know though is, leaving the outermost lip liner not blended is not a step closer to the trend. Just because Naomi Campbell wore it way back, definitely doesn’t mean you should wear it in the 21st century. A lip brush helps to wield control over lip products, so use it to completely blend out the edges of lip liner. When in doubt, just use a lip liner in the same shade as the lip colour you intend to use. Concealer Brows: Every makeup enthusiast knows that concealer can be used to give the brows that perfect and clean look. However, this can very quickly go awry when the concealer is not blended properly, leaving a white cast on your brow bone. Even makeup artists have been known to go wrong here. Avoid the uncertainty of all this by using the same foundation used on the rest of the face to define the brows and set with the face powder. Every eyebrow tutorial ever made which recommends using a concealer to define the brows finishes with blend out the concealer. 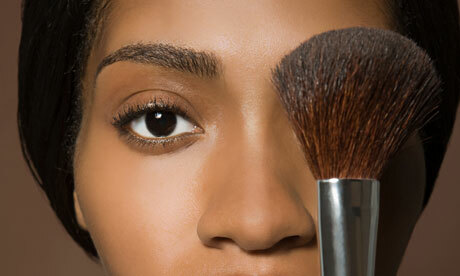 Otherwise, use a concealer shade similar to the foundation shade for perfect harmony. Grey Facial Cast: In this era of liquid and gel foundations, finely milled powder and complexion adjusting skin bases, it is still common to find wrong foundation shades being used. When purchasing a foundation or powder, ALWAYS match the jawline, the neck and the chest as a test run. Shade matching should be done in natural light and not indoors for the best result. Also note that Titanium Dioxide, which is the white mineral pigment used in foundations, powders, concealers etc. is an SPF ingredient. It is the cause of the white flashback in photos, resulting in a white face or a grey cast (even when the right foundation shade is used). Therefore, for photography, it is advised that flash not be used but the picture be taken in natural light. Highlighting & Contouring: So this seems to be the most recent trend in the Nigerian makeup industry. 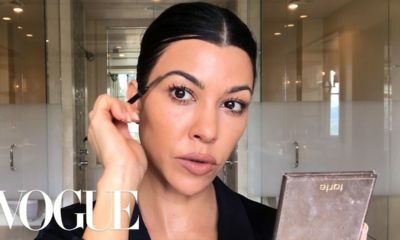 While I am all for enhancing one’s natural features using makeup, going extreme is a big no, no. To highlight the face using concealer, I always recommend the same shade as the skin or one shade lighter (especially for darker skin) and this is usually enough to define the highs and lows of the skin. If you want to go further and contour, then a foundation product one or two shades darker is perfect. As always, be sure to BLEND these out perfectly. In keeping with the trends, accurate interpretation is needed to ensure that one’s best foot is always put forward. 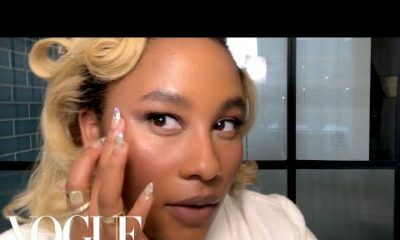 I know Rome wasn’t built in a day and it may take some of you some time to get these techniques down, but one step at a time and eventually you be rocking perfect makeup every time. Do you have any makeup mistake remedies, don’t forget to share them with me. Have a great day ahead. ______________________________________________________________________________________ Barbara Onianwah is an Advertising and makeup professional. 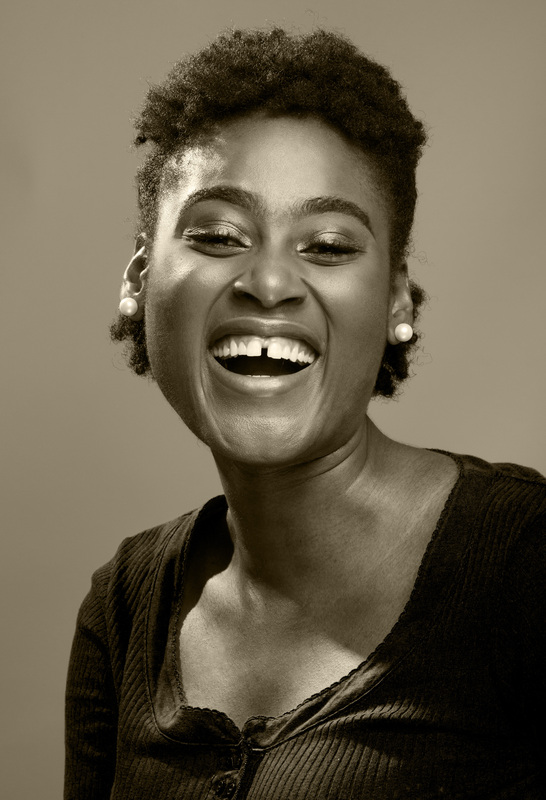 She spends her days as a Client Service/Digital Marketing professional in one of Nigeria’s advertising agencies and her nights as a Social Media & Makeup afficionado who straddles between using the internet to build her personal brand – Barbara & 1923 and helping various clients build their online presence. “Public Attention Seeker” – Why is Oreka Godis Angry with 9ice? Find Out! Thnks barbara fr d tips,wl adhere. and not what is trendy. Trendy is overrated!!!!!!! wink wink keep guessing. i’ll send a FB message. nice tips,esp the first on the ‘eyebrows’i aint a fan of the ‘nikeshapedeyebrows’.. This writer just nailed it! thank you!!! i dislike the concealer thingy. i never use it and i always end up having the perfect brow. Fingers crossed here too. Know I will get criticised for putting up these oopsies though. Love it! Everyone is walking around these days looking the same. People are really over doing it with the concealer, contouring and heavy foundation. Makeup is supposed to enhance not make one look like an art project. Hv u got you tube videos? thank you @faceofcilla, the industry has grown so much I am in awe but happy that I was a significant part of it. My father says, “once you stop learning, you start dying” and I agree with him. Thanks a bunch 4 dis post I know next to nothing *covers face* abt make up n eye brow shaping.I just developed an interest with this article. Hello @holla, o waoh, that’s great to hear. You will get the hang of it in no time at all don’t worry. thanks for the post. got 1 or 2 things from it..personally foundation makes me sweat n also get darker after awhile so i just use my powder but it also doesn’t give me the flawless finish i desire…is there any advice i can get please. 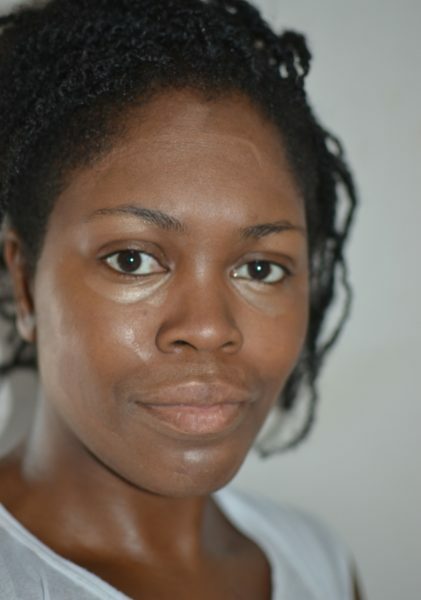 Hello @bunmi, foundations, concealers and powders go through the oxidization process and then they get darker and redder. However, this process is more in some brands than others so I would advise that you try other makeup brands.